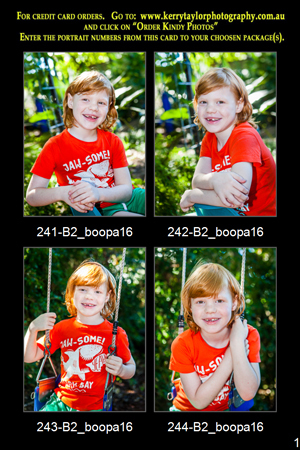 How to Order: You will need your Portrait Sample Card with your childs 4 proofs to complete your order online. You can collect this from your kindergarten centre after the photo day. All orders are delivered to the Kindergarten centre. Go to My Cart when you would like to finalise your purchases.